NORTH BRUNSWICK, N.J. /ScoopCloud/ -- Capacity LLC, trusted leaders in order fulfillment, e-commerce, and EDI solutions, has signed a long-term lease to expand into a built-to-suit 300,000 square foot fulfillment space in North Brunswick, N.J. The state-of-the-art facility will be ready for occupancy later this year, with Capacity planning to begin operations at the site from February 1, 2020. Located at 1601 Livingston Avenue, the space is custom-built for modern fulfillment technology and will serve as Capacity's new headquarters. 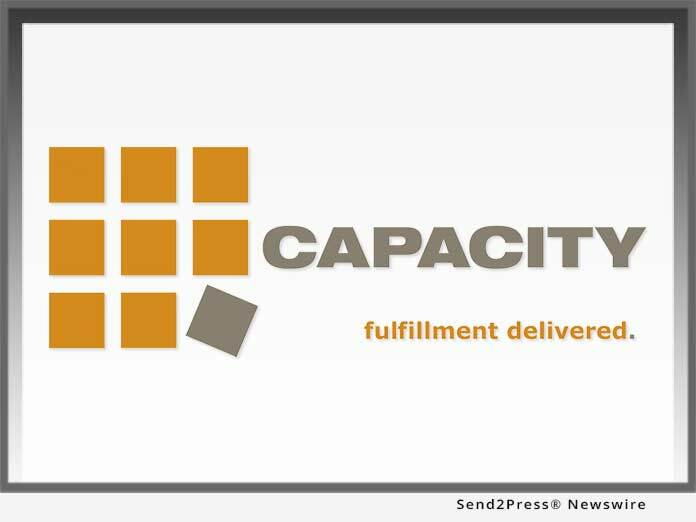 Capacity LLC, trusted leaders in order fulfillment, e-commerce, and EDI solutions, has signed a long-term lease to expand into a built-to-suit 300,000 square foot fulfillment space in North Brunswick, N.J. The state-of-the-art facility will be ready for occupancy later this year.